ArtistWorks for Libraries provides you with world-class music, voice and art instruction through self-paced video lessons taught by highly accomplished and Grammy Award–winning music and art professionals. ArtistWorks for Libraries offers 24 instrumental, voice and fine-arts classes, from basic courses to intermediate instruction to advanced lessons. Because ArtistWorks for Libraries is browser enabled for both desktop and mobile devices, patrons can enjoy on-the-go learning without having to download an app. Universal class offers over 500 Online Continuing Education Courses that can be accessed 24/7 right here! Click on the icon to the left to set up your account. The Testing & Education Reference Center (TERC) helps users embark on new education and career paths with in-depth information on colleges/universities, graduate/professional programs, distance learning, corporate training, available scholarships/awards, and more. Practice tests include entrance exams, certifications, and licensing tests. The Resume Builder and Virtual Careers Library tools helps students build essential career skills like how to build a resume, cover letter, and interviewing tips. 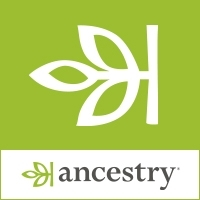 Ancestry Online is now available at the Sutton Library. This resource can only be used in the Library, on the Library computers. Click on the icon to the left to access A to Z World Culture. You'll need a library card to log in to A to Z World Culture. Curious about the world? AtoZ World Culture has you covered. With AtoZ World Culture, information about world history, cultures, languages, foods, religions, and much more is just a click away. With 175 Country Culture Guides covering over 60 topics each, AtoZ World Culture offers a breadth and depth of content that is unmatched by any other single resource. What will you learn today? Click on the icon to the left to access A to Z the USA. You'll need a library card to log in to A to Z the USA. It's packed full of data for each state. The United States is one of the most geographically, culturally, and ethnically diverse countries in the world. It is also a young country with a rich history. AtoZ the USA brings this diversity and history to life in a beautifully-illustrated resource designed especially for libraries and schools. AtoZ the USA contains more than 115 country-based articles and 115 state articles for each of the 50 US states, five US territories, and the District of Columbia. Library patrons and students will find unmatched coverage of the country’s people, history, economy, geography, symbols, culture, and society. From Alabama to Wyoming explore the great American experiment with AtoZ the USA. Don't know what to read next? Trying to find books to appeal to your reluctant reader? Try NoveList! PowerSearch makes it possible to find subjects from A-Z in one or several of the Gale’s periodical databases in a single search. This is especially good for subjects that may be covered more than one database, such as diets, careers, etc. resources and electronic reference books.